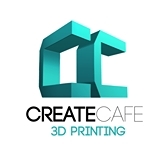 We are a 3D printing/coffee company based in Saskatchewan, Canada. Our two pillars are 3D printing education and business solutions. We do all of this from our cozy cafe. We have a wide variety of 3D printers which are listed below as well as multiple designers for designing anything you can think of to 3D print!